Daily Recitations is published by the Library of Tibetan Works & Archives for the benefit of those who show a keen interest in the study and practice of Buddhism. These prayers are recited daily in the Buddhist philosophy classes and the Monday meditation sessions conducted here at the Library of Tibetan Works & Archives for the purpose of accumulating wholesome actions and purifying unwholesome ones. 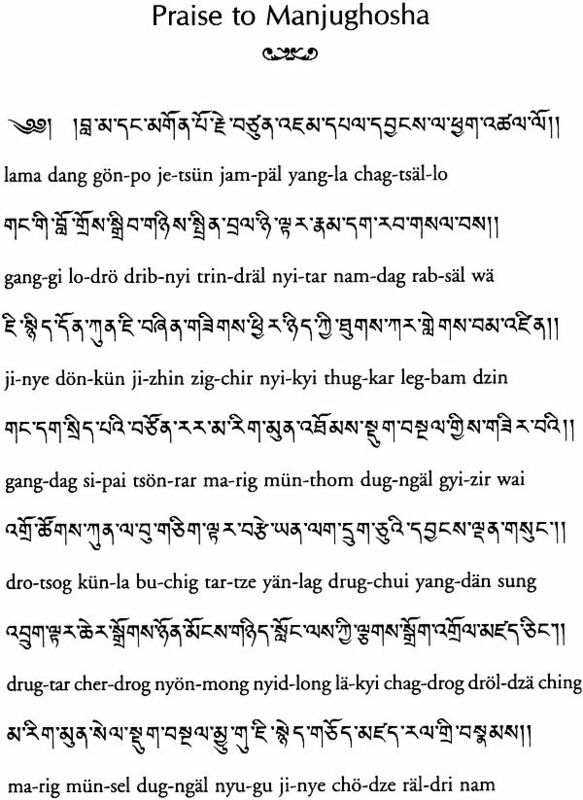 Presented here is the Tibetan, Phonetic and translated versions of these daily recitations. This ninth edition of Daily Recitations is published by the Library of Tibetan Works and Archives for the benefit of those who are interested in the study and practice of Buddhism here at the Library. These prayers are recite daily in the Buddhist philosophy classes and the Monday meditation sessions for the purpose of accumulating wholesome actions and purifying unwholesome ones. 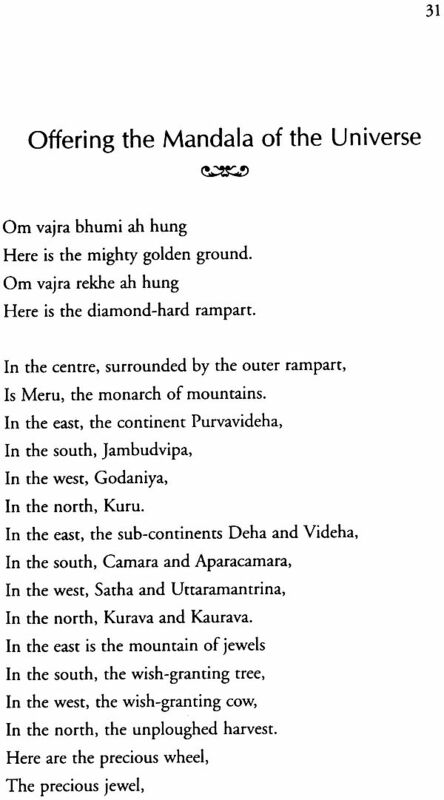 Presented here is the Tibetan, phonetic and translated versions of these daily recitations, such as the seven-part practice and the mandala offering. By the merit accumulated from this, may be three poisons of attachment, hostility and confusion be uprooted from the minds of countless sentient Being; may everyone develop the three principal paths of the Mahayana teachings, namely the wish to leave cyclic existence the spirit of enlightenment and the correct understanding of reality, and may all beings quickly attain enlightenment with the four bodies of a buddha.